Authorities in Fairfax County are warning residents after a small dog was killed by coyotes in the Parklawn neighborhood in the Alexandria section of the county. 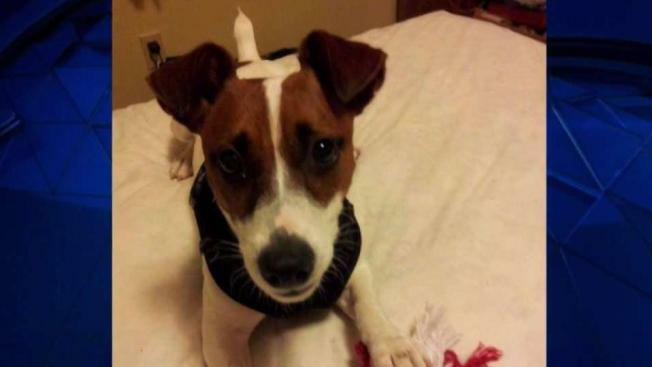 On May 5, the owner of a 5-year-old Jack Russell terrier named Loki was playing fetch in her backyard when the ball went over the fence. Loki and his owner went into the woods to retrieve it, and a coyote went after Loki. "I started going after them and yelling for the dog," said the owner, who asked to remain anonymous. She followed deep into the woods, screaming and throwing sticks at the coyote, but she couldn't keep up. She could hear the screams and eventually tracked her dog down to a nearby creek. David Shelton, a lawn care professional who has worked in the area for more than 30 years, said he's had several coyote sightings, including last week in broad daylight. Fairfax County Animal Protection Police are working with the homeowners association to place cameras. In the past they've photographed coyotes hoping to better track their movements. Police say conflicts between dogs and coyotes can happen year-round, but they are more likely between January and August, when coyotes are mating and caring for their young. Small dogs can be attractive to coyotes because they resemble rabbits, police say. Coyote attacks on humans are extremely rare, and police say you should not be alarmed. If you encounter a coyote in your yard, you can use techniques like standing tall, waving your arms, yelling and clapping to scare it away. Keep your dog on a short leash while walking outside. If you see an aggressive, sick or injured animal, call the Fairfax County Animal Protection Police at 703-691-2131.